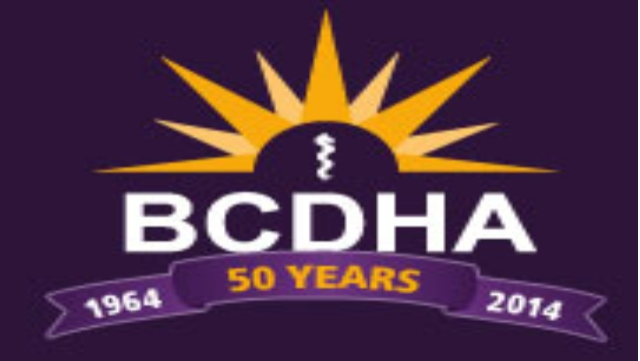 The British Columbia Dental Hygienists’ Association (BCDHA) is the professional association representing the almost 4,000 dental hygienists across British Columbia who work in dental hygiene clinics, hospitals, community health centers, residential care facilities and dental offices. Formed in 1964, BCDHA is dedicated to the principle that all British Columbians should have access to the quality preventative oral health services that dental hygienists provide. BCDHA collaborates with government, the provincial dental hygiene regulatory body and clients to effectively serve its members and the public. Members of the Association enjoy a range of unique benefits and services, including continuing education, advocacy, promotion of the profession, support services, and information on employment issues and guidelines. In 2016, BCDHA successfully lobbied for mandatory membership on behalf of its member dental hygienists in BC. This has afforded the organization additional resources and more predictability from a revenue perspective, as well as an opportunity to make a broader impact on the profession in the province and provide greater value for its membership. Indeed, as more and more people have increasingly turned to dental hygiene as a rewarding career path across the country, BCDHA has also evolved over the years, increasingly becoming a more powerful voice for government, health authorities, stakeholders, partners and dental hygienists alike when policy decisions are required that impact oral health in BC. Given the retirement of a longstanding Executive Director, an opportunity now exists for a talented leader with a successful track record in a related health association, college or health authority to steward the organization into the future. The Association is seeking an Executive Director to carry on the important work of the Association and take its programs and services to the next level, including developing a higher level of awareness of the profession in BC. Working with a committed and talented staff, and reporting to a supportive Board, the successful candidate will want to take her/his leadership experience and apply it in a domain where one can have substantial influence on the provincial direction of a health profession. With consistent membership growth and a number of important issues relating to policy advocacy, scope of practice and the future of the profession already underway, this is an exciting time for the Association and its new Executive Director. If you are a motivating and collaborative leader who thrives on challenges in a dynamic environment – and you want to make a difference in a growing and critical health care profession - please visit Boyden's Opportunities page.